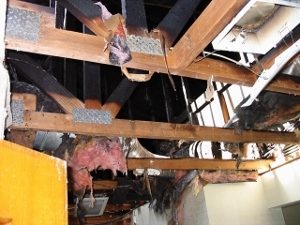 We have seen the devastation that a residential or commercial fire can cause. The emotional stress can be overwhelming. AMAC’s fire restoration services will take all the emotions into consideration on every job. Our goal is to get you back in your residence as quickly as possible and restore your possessions to original quality. Steamatic will even rush emergency items such as clothing, your child's favorite blanket or toy and other items to ease the disruption of your lives. Every year one out of every five houses has water damage to a certain degree. Commercial, industrial, and retail buildings are damaged nearly as often. The most common source of water loss is a failur e within the structure itself, such as a plumbing or appliance breakdown. Once a loss happens time is of the essence! 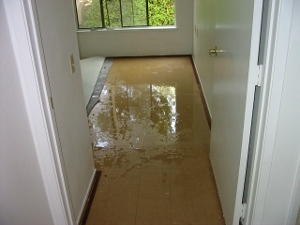 Water can run rampant; destroying carpeting, cabinetry, trim, furniture, electronics, and anything else it touches. Hiring a certified structural drying company can turn a devastating loss into a minor inconvenience! 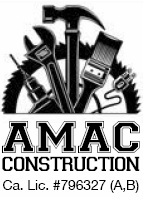 AMAC Construction's technicians are trained to minimize the loss as quickly as possible. 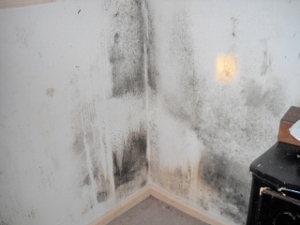 With all the media attention in recent years, the word MOLD brings an instant hesitation. Is it a real concern? After all, it's been around forever. The truth is, the effects of mold on our bodies are just now being understood. While rare, serious health effects from exposure to fungi, do occur. Too much exposure to certain types of mold could trigger asthma, cause allergic reactions, rashes and other respiratory complaints. People are more susceptible to a fungus when it is in a building. Infants are more susceptible to infection because their immune systems haven't fully developed. The elderly tend to have weaker immune systems, too. Because of the potential harm, any water intrusion into a building should be handled quickly and professionally.